Spring is on the way and with the warmer weather and blooming flowers often comes additional pests and insects in your home and your yard. You want your home to be clean, and free of pesky flying and crawling insects. The best way to ensure that your home is pest free this spring is to hire Eco Tech, a pest control service serving the Minneapolis/St Paul, MN area. Eco Tech is a professional, family-owned pest control business that has more than 50 years of combined experience in the industry. Our customer service goal is to eradicate your current pest problem and protect your home from future pest issues. We take pride in our customizable insect programs, with no annual contract fees, inspection and all repairs warrantied for four years. In addition to being a leading pest control business in Minnesota, we are also one of the only organic pest control companies in the area. This means that we offer all-natural insect control solutions so that you do not have to worry about your children and pets being at risk during our treatments. Your home will be protected and the air quality and environment will not be compromised by our services. Our treatments are all- natural, and not made of synthetic ingredients that harm the environment, children and pets. So, if you are concerned that your home already has a pest control problem or you would like to prevent one this spring, call our team at Eco Tech at 1-612-237-8282 to schedule an appointment. 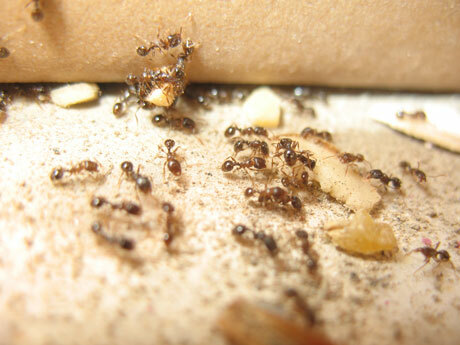 We also offer 24/7 emergency pest control service (763)-232-7296. We have received an A+ from the Better Business Bureau, numerous service awards for our strong customer service and we take pride in providing affordable, high quality service. We will respond to your request quickly, professionally and ready to provide you with all of the information you need to move partner with us.